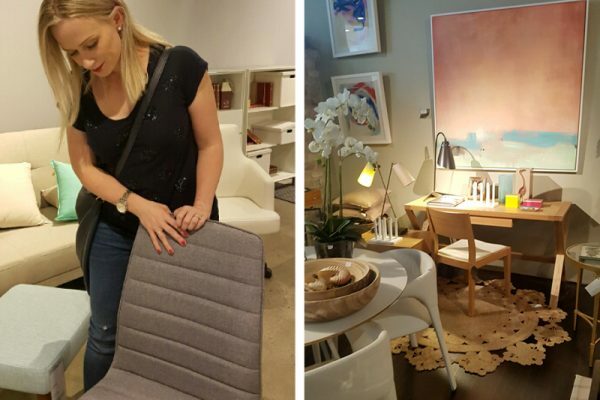 We live on the other side of Sydney from Moore Park so I’ll admit it had been a while since I’d visited the Supa Centa but, being abreast of all things interiors, I knew plenty of great new stores had opened there. So when they invited me to come shopping for home office supplies, I didn’t need asking twice. When you work from home like I do, the home office is really important! It’s also great when you get to choose the look and feel of this space and can avoid all things corporate (while still being mindful that sitting at the wrong furniture all day –however good-looking– can leave your back suffering!). Yup, I’m officially old! The centre has a really nice, spacious layout and everything is well signposted, which always gets me off to a good start. There’s plenty of parking too, and places to buy coffee! I knew we (myself, husband Damian and toddler Sebastian) could safely be here for hours, and when I discovered a children’s play area, well, we couldn’t ask for more! Top of my shopping list was a new desk. I already have an antique secretaire, which I’m keeping too, but I wanted something bigger, and better ergonomically. 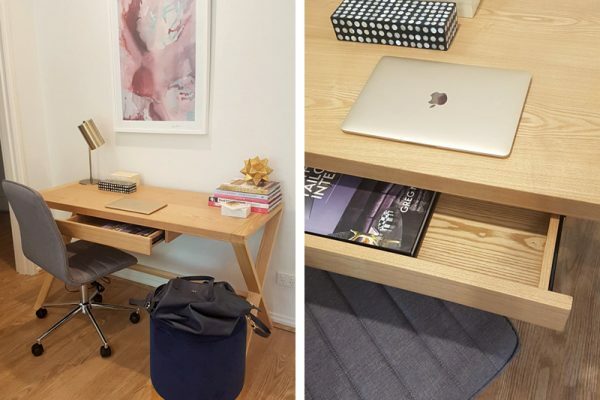 I browsed some nice options at BoConcept (they have one that attaches to the wall and pulls down, so great for small spaces), Shack and Icon By Design (all solid timber) before settling on the simple shape and beautiful beech of the Altar desk at Contents International Design. I am a long time fan of this shop, which stocks some of my favourite furniture and homewares brands. The visual merchandising in here is a real standout, so when I saw ‘my’ desk styled up in a gorgeous looking study nook, it definitely helped seal the deal! I just had to get out the door without buying one of everything! At $1,045 for a large desk in gorgeous solid timber with a drawer, it won over something similar I’d seen for $1,500 in another store. It’s worth mentioning that all the shops at the Supa Centa are really spacious which not only makes it feel lovely and open, but means getting around them with a pram, as I did, is no issue! Onto the desk chair: a tricky purchase if ever there was one! As I was saying before, ergonomics are important if you spend a lot of time in your home office, but so many desk chairs are downright ugly and bulky. You’ll not find any black pleather in my house! As soon as I saw the Phoenix chair at Freedom though, I knew it was going to work well. It’s upholstered for a start, in a very inoffensive grey fabric which will go with everything. It’s slightly padded for comfort and, most importantly, it’s on wheels, height-adjustable and it swivels, so my back will be happy! As a bonus, it doesn’t have arms, so you can tuck it away under the desk. All this for $199, which I think is a real steal. While in Freedom, I couldn’t resist the glam new Palm Springs Ottoman so I quickly got to work thinking how I could justify this piece as a home office essential (come on, we’ve all done it!). I came up with the following: somewhere to put my feet up while reading documents (I know, I know!) and a spare seat for the rare occasions I’ll let my husband share the desk when he works from home. Purchase made! 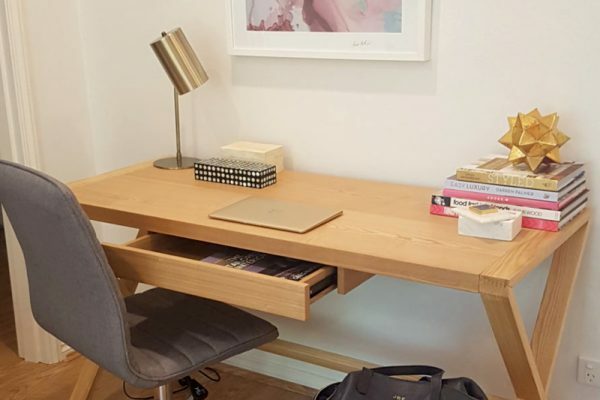 Clearly a desk is not a purely functional piece and when you’re an interiors addict, there is always a styling or decorative opportunity to be had! I knew Orson & Blake was the perfect place to source some stunning trinkets and was not disappointed. These beautiful lidded boxes are perfect for keeping pens, paperclips and USB sticks, and the gold star is a paperweight. Obviously! The charming shop assistant, who had no idea who I was or that I was writing about the experience, was delightful and even gave me a discount! In fact, I genuinely received great customer service everywhere at the Supa Centa, which was really refreshing and welcome, especially on a Saturday, when everyone can be super busy and a little frazzled. Some of my other favourite stores were Max Sparrow, King Living and Boori. 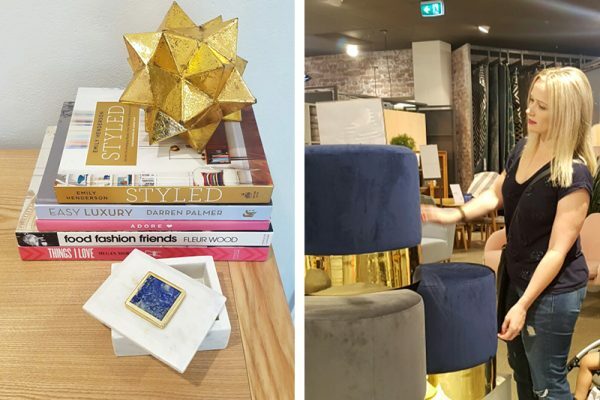 Whatever your budget and whether you’re looking for furniture, homewares, manchester, flooring, window furnishings or outdoor furnishings, you can find it all under one roof at Supa Centa Moore Park! I hope you like my new home office setup! For more information on Supa Centa Moore Park.